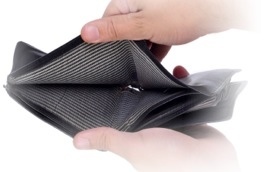 Want a Course but Can’t Afford to Pay? I get quite a few emails from people telling me due to various circumstances that buying my training courses is not possible. So with this in mind I tried think of a way you can get a course by earning access to it. 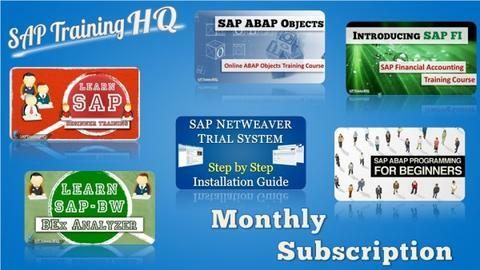 Want to Learn SAP ABAP? The full Video Course Is Ready – What Next? Earlier this week I finally completed the full version of the ‘Beginners Guide To ABAP‘. I decided to give the course its own website so not to get muddled up with the mixed bad of SAP content here. Lots of people jumped on-board when I released it which I am super happy about. The course ended up taking me around 1 year to complete. This is way longer than I thought it would. Partly due to work commitments, well actually a lot due to work commitments, but also down to underestimating just how much work is involved in producing a quality training product. Whilst making the videos and editing afterwards there was lots of content that was given the axe for all sorts of reason. What I recorded didn’t make sense!! When I finally finished editing the last video I thought… finally the job is done. That feeling didn’t last long. Then came to realisation that I had another job – building a website to house the course. Anyway, it’s done. Now I can relax a little and I hope the students who are taking the course really apply themselves and learn ABAP well. The course has taken a lot of work on my part and I have put my heart and soul into making it the most affordable and high quality course on SAP ABAP on the interwebs. I would love to know your thoughts and if you have any questions just let me know. Heck, hit me up on Skype if you want … pete_m1 (no spam please). In this seventh video of module 2 we finally get to see the data we have entered into out table and take a look at some of the useful SAP data dictionary tools we have available.